Arnage. Hunaudieres. Mulsanne. Indianapolis. Tertre Rouge. Le Mans. Words that speak to the mind, imagination, fascination and enthusiasm of every motorsports fan on the face of this Earth. It's often been called 'the greatest race on Earth'. An unmatched battle of the titans, the ultimate test of the endurance of both man and machine. 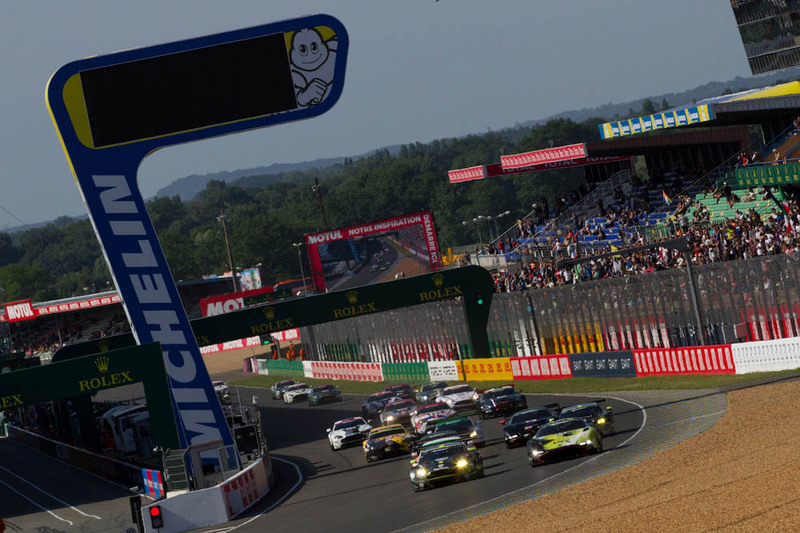 Over the years, it has drawn millions and millions of fans from all over the world to the Circuit de la Sarthe. But up until this year, I hadn't been one of them. I had always watched the race from the comfort of my couch. But this year, that changed. For the first time in my life, I made the seven hour drive to experience the greatest endurance race in the world first hand. It's common knowledge that the race traditionally starts at three o'clock on saturday afternoon. Yet, we jumped in the car at 1:30 AM that morning, because there were some other races in the morning that we wanted to attend. More on that later. After a relatively uneventful drive through Belgium and northern France (the only highlight being a pair of brand new Alpine A110s) we arrived at Le Mans about an hour earlier than we had anticipated. One of the first things you noticed when arriving, and something you don't really notice when you watch the race on TV is how uniquely the track is situated. I was expecting some traditional French hilly countryside, but instead, the track is located on a vast, open and really quite flat stretch of land. Green fields stretched out ahead for miles, with the one exception of a literal airport, right next to the track. You could see private jets takeoff and land from the grandstands. The next point of amazement comes in the form of the parking. The parking lot, in our case, also doubled as a campsite. But the idea of this being just any regular French holiday site was somewhat shattered by our neighbours for the weekend. We parked up next to a group of Brits, who had surrounded their tent with their cars: a BMW M3 F80, a Jaguar F-Type V8 S Convertible, a British Racing Green Aston Martin V8 Vantage and, most amazingly of all, a Jaguar F-Type Project 7, which spent the entire time under a cover. A further walk across the campsite gave us a number of Porsches, Maseratis and classic Ferraris. Welcome to Le Mans. It was only a short hike from the parking lot to the track's entrance, and it was there when amazement just sort of turned into sensory overload. Looking at the entrance with the sign 'Circuit des 24 Heures Du Mans' for the first time is a special moment. Not one I could enjoy for very long though, as the road behind me was very much starting to clog up with Aston Martins, and most ridiculously of all: brand new BMW M5 F90s, which were being used as BMW's shuttle service for the weekend. Again: welcome to Le Mans. The proverbial gates to heaven. Barely having recovered from that, the (relative) peace of the French countryside was suddenly shattered by the very loud and unmistakable sound of racecars on track. After passing through the gate, a quick look at the timesheet told us that this was in fact the warmup for the big race. The feeling of standing trackside at La Sarthe is a special one. After seeing cars thunder up to the Dunlop Bridge on tv for so many years, actually seeing it with your own two eyes is a kind of pinch yourself-moment. And make no mistake: these cars are loud. It's something you don't appreciate or really notice on tv, but the noise these cars kick out is ridiculous. The Gibson-powered LMP2s and Rebellion LMP1s produce an amazing, high-pitch scream and the downshifting noise is ludicrous. The Corvettes and Astons and Fords also sound brilliant. But the Porsches take the cake. Watching them on videos, you get the impression they're not exactly the quietest cars in the world. But nothing prepares you for the sheer volume of screaming those 911 RSRs manage to force out of that flat-six engine. It's overwhelming, almost painful to your ears. After admiring the cars for a while, we set out to explore the part of the track you never really see on television: the Village. It's a great place to be, with stands, shops and cars on display. There's music, places to relax, and even some World Cup matches being broadcasted. Some of my personal highlights: the new Vantage GTE and Porsche 911 RSR next to their respective brand's stands. It wasn't too long before we ran into stands selling model cars, and I just sort of had to restrain myself from buying every single LMP1, LMP2 and GTE car on sale, otherwise I would probably have gone bankrupt. After saving myself from financial ruin, we headed over towards the Porsche Curves for the reason we got here so early in the first place: the Aston Martin Racing Le Mans Festival. 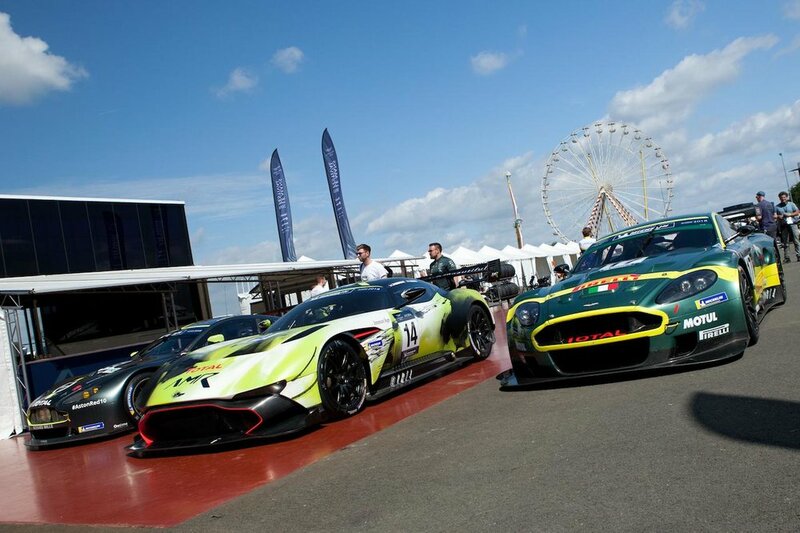 We arrived at their paddock at just the right time to see the Vulcans, Vantages and DBR9s head out onto the track. Slightly awkward moment for the DBR9 driver, as he spinned and stalled the car immediately after entering the track, in front of a crowd of about 50 spectators. That's embarassing. Just because this wasn't really a race for anything didn't mean the drivers were going to take it easy. It was an exciting and incident-filled race, with a number of cars coming together and the #57 Whitebridge AMR Vantage GT4, driven by Chris Murphy, having a rather hard crash on the approach to the Dunlop Bridge. The race winner was rather surprising: Aston Martin Racing's Ross Gunn drove the brand new (and probably unrestricted) Vantage GT3 to victory, beating the #14 Vulcan driven by Chris Harris. After the race, we were lucky (or bold) enough to get ourselves into the paddock, a brilliant place to be. In a span of about half an hour, we rubbed shoulders with Aston Martin CEO Andy Palmer, British GT4 Champion Jamie Chadwick, Top Gear presenter Chris Harris and Formula One legend Martin Brundle, all while surrounded by the absolute best Aston Martin Racing cars on the planet. It was another one of those 'Is this real life?' moments that seem to be a regular occurrence at the Circuit de La Sarthe. 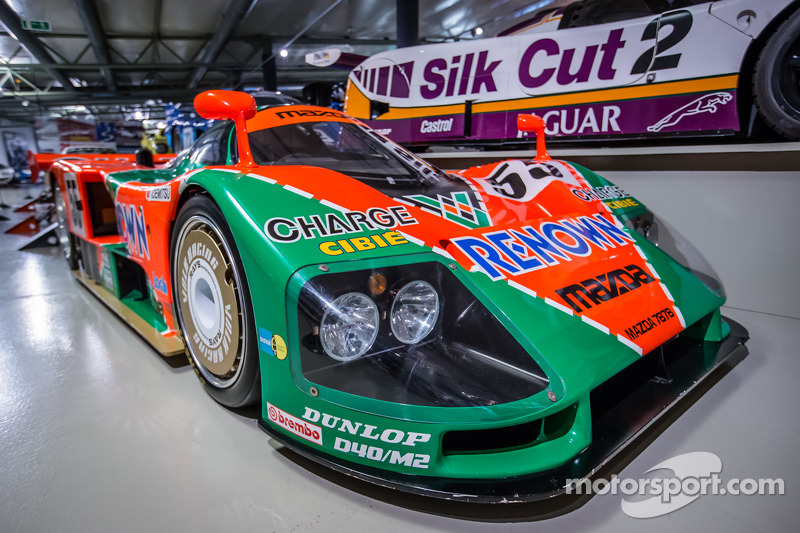 With the Aston Martin spectacle over, we decided to head to a must-see location when at La Sarthe: the museum. Fully known as the Musée des 24 Heures du Mans, it displays the full history of the race with some truly legendary machines on display. Entry is free with a general admission ticket and it really is worth your time. 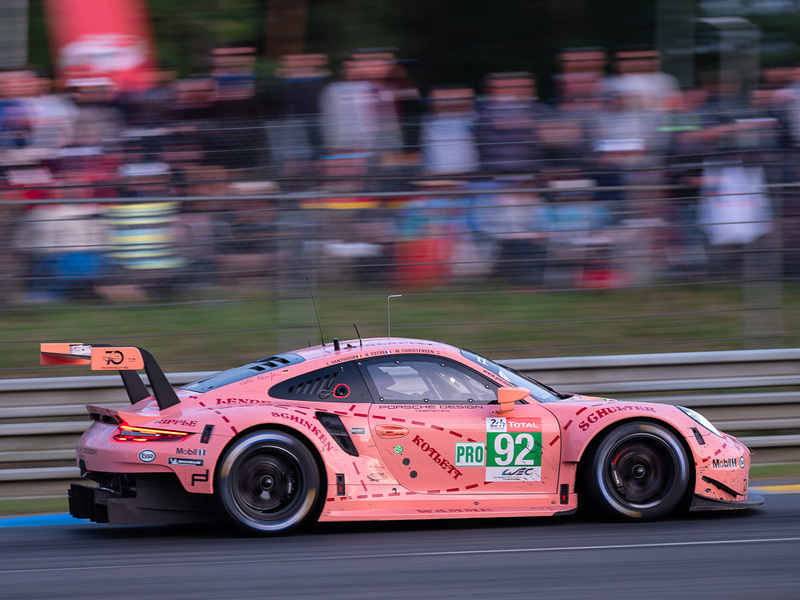 With the likes of the Ford GT40, Porsche 917, Jaguar XJR-9, Mazda 787B, Audi R8 and R18, Bentley Speed 8, Aston Martin DBR9 and Porsche 919 Hybrid, it really is a must-visit for any motorsport enthusiast. The museum might be small, but the content more than makes up for it. One section of the museum I found quite amusing was a round room, along which display cabinets showed the results of each edition of the race, with scale models of the cars in finishing order. And the temporary Gulf exhibit with the Mirage GR8, McLaren F1 GTR, Ford GT40 and Kremer K8 Spyder was a rather wonderful added bonus. By the time we got out of the museum there was about an hour still to go before the race, which we used as an opportunity to grab some lunch. But you couldn't help feeling that the atmosphere around the track had started to change as three o'clock started to approach. There was this 'calm before the storm' feeling around the grandstands as the crowd anticipated the start. As the fated hour neared, we found our place along the track near the Dunlop Bridge and waited. When TV commentators say that the crowds are packed, they mean it. Everywhere you looked, rows and rows of fans packed trackside, waiting. Counting down. As the cars passed for the formation lap, the crowd started to applaud, and I joined in without really realizing it. I suppose it was out of respect for the madmen that were about to drive the greatest race in the world. Those final moments before the race are tense. As the Patrouille de France fly over and leave the blue, white and red of the French flag in the sky and Richard Strauss' Also Sprach Zarathustra finishes playing, you focus all of your attention on the main straight. And then, the sheer noise of 60 cars breaks the silence and you watch in awe as some of the fastest cars on the planet all bunch up through the first few turns. There is drama instantly as Andre Lotterer in the #1 Rebellion briefly touches the #8 Toyota, damaging his nose before completely losing it in a collision with the #31 Dragonspeed. After that chaos, the race settled down, and we started to explore the circuit some more. After all, there was still more than 23 hours of racing left to watch, so we might as well take a look around. The Village and Fan Zone are vast, and there is plenty of stuff to do and see, including the aptly named Pit Stop zone, where you could have seat and relax a bit, but still watch the race on large screens. As time goes on and the sun starts to set, Le Mans really becomes a special place. The lights come on, and glowing brake discs and exhausts become more visible. Sitting on a hill, watching the cars shoot down from the Dunlop Bridge, through the Ss and towards Tertre Rouge as the darkness sets in is a special experience, and also oddly soothing and relaxing. There's music, a carnival and fireworks off in the distance. 'Le Mans changes at night' is somewhat of a cliché, but it really is true. Something you notice, especially in the Village and Fan Zone, is how long this miniature city keeps running at night. The many shops and stands don't close when the sun sets, and the entertainment certainly doesn't end either. One of our highlights of the weekend was watching on screens in the Fan Zone at midnight, while a local jazz artist provided a live musical soundtrack. Absolute class. After a brief spell watching some night racing at Maison Blanche until two o'clock, we decided to return to the car for a quick two-hour power nap before returning to the track. That unfortunately turned into a four-hour sleep, so by the time we arrived back at the track, it was 6:30 AM. Le Mans rumbles on, whether you're watching or not. Still somewhat knackered from the previous day, we decided to take things easy and just spend the day sitting at the Dunlop Curve, where we'd have a prime view of the track, pit lane exit, the Dunlop Bridge and the rest of the track via two large screens on the other side of the track. The rest of the day was comprised of watching the cars, enjoying the many noises, counting down the clock and praying for the Toyotas to not break down. That last part nearly gave us a collective heart attack as Kamui Kobayashi's #7 Toyota suddenly slowed down with an hour and a half ago, but then got back up to speed. The explanation: Kobayashi missed his fuel stop and slowed down to avoid running out of fuel. It was only a minor hiccup, but I'm not kidding when I say I felt a literal wave of 'oh no not again' going through the crowd trackside. Toyota just kept on going. That doesn't mean the final hours didn't contain any heartbreak. We watched as the only remaining GTE Am Vantage was forced to retire after a high-speed spin through the gravel which damaged the driveshaft. Not much later, Jenson Button's #11 SMP Racing machine ground to a halt at Indianapolis, ending his race. Both the Vantage and the BR Engineering LMP1 were out with less than an hour of racing left. Heartbreaking. The final hour was tense, even though all class battles had pretty much been decided. As the clock counted down, all of the focus turned towards the Toyotas out in front. Would they finally do it? With 2016 still fresh in people's minds, nobody dared to cheer until the very end. But the shot of the two Toyotas in formation with the clock counting down the minutes is something I'll never forget. After two agonizing decades, Toyota finally did it. As Kazuki Nakajima brought the #8 TS050 Hybrid across the finish line, the track just sort of erupted in joy. 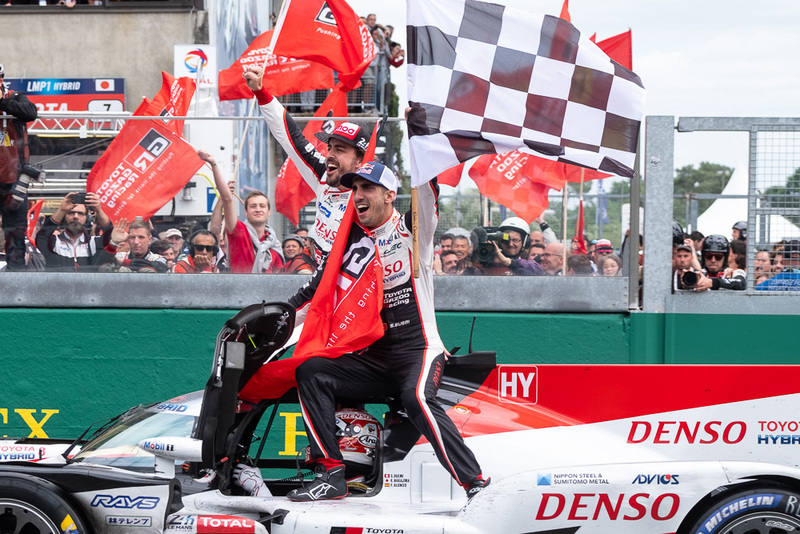 Everyone felt like Toyota thoroughly deserved this victory, and the ovation from the grandstands and the elation from the Toyota team members was truly moving. It's a memory that'll stick with me forever. As an added bonus to an unforgettable weekend, stewards then opened up the gates, and we (along with hundreds of others) gained access to the track itself. Walking on the asphalt of the Dunlop Curve, the main straight and the pitlane is something truly special. The realisation that you're walking where greats like Tom Kristensen, Jacky Ickx, Derek Bell, Gijs van Lennep, Dan Gurney and Allan McNish have been is extraordinary. A memorable way to end Le Mans. Pretty much how I reacted when the gates opened. It's often said that Le Mans is one of those races you just have to visit. After this weekend, I stand behind that completely. A TV broadcast does not do it justice. You need to see it with your own two eyes. Only then do you understand why it's the greatest race on Earth.